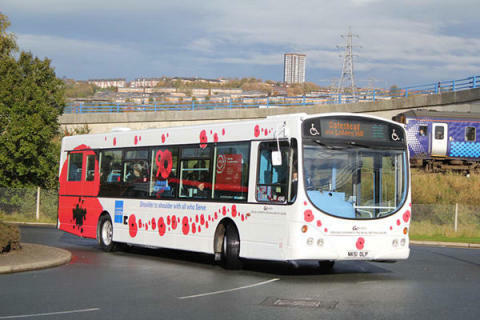 Go North East is proud to support our past and present armed forces with its colourful and proud ‘Poppy bus’. The Poppy bus runs around Gateshead, showing important messages of support for the British Legion Charity throughout the year. And of course, in November, catching sight of the poppy bus is even more poignant when most people are wearing poppies on their coats and everyone's thoughts have turned to Remembrance Day. Once bus diversions are confirmed for Remembrance Day, you will be able to find details here. Find out more about the work of the British Legion.